Black Mulch available for pick up in the yard or delivered to Canton, Plymouth, Livonia, Westland, Northville, Novi, Wayne, Belleville, Redford, Farmington, Farmington Hills, Romulus, Salem, Van Buren, Ypsilanti, Lyon Twp., Ann Arbor, Wixom, Commerce Twp., Walled Lake, Taylor, Dearborn Heights, South Lyon, MI. 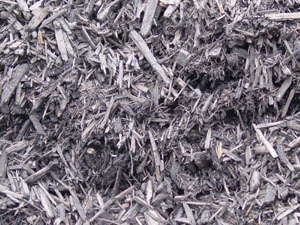 Black Enviro-Mulch is a double ground Mulch that is dyed black with an Enviromentally safe Dye. It will hold its color for at least a season and compost to feed you plants as well.